Destination ULTRA once again made its indelible mark on the Croatian coastline this past week, with over 150,000 attendees from 142 countries enjoying the main festival in Split. 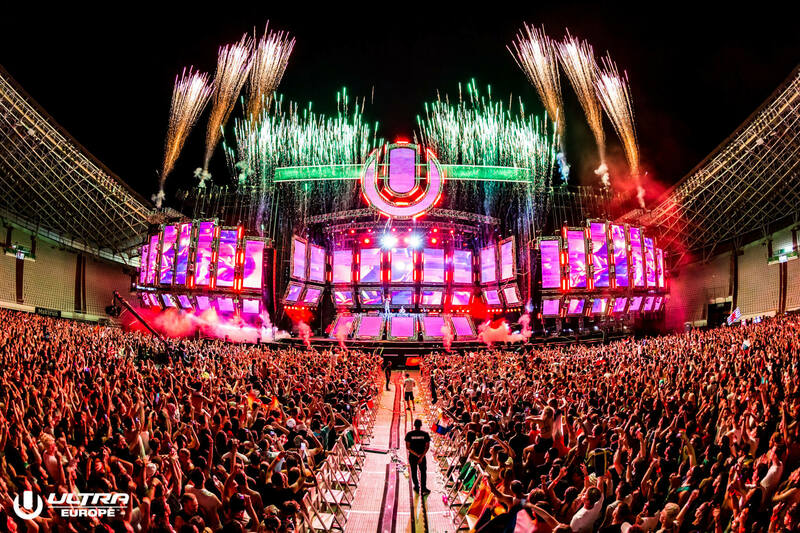 ULTRA Europe, the flagship event, was streamed via UMF TV worldwide, with millions of viewers tuning in to watch a dizzying selection of performances from the world’s most in-demand and celebrated electronic acts. The week kicked off with the Destination ULTRA Opening Party at Hemingway, Split on Thursday, July 5, with Belgian techno star Charlotte de Witte and house legend Eats Everything. House and techno reigned supreme at the waterfront club, with the jubilant atmosphere laying the foundation for the festivities to come. The main event of the week, ULTRA Europe, brought scores of Ultranauts from 142 countries to the majestic Poljud Stadium in Split. 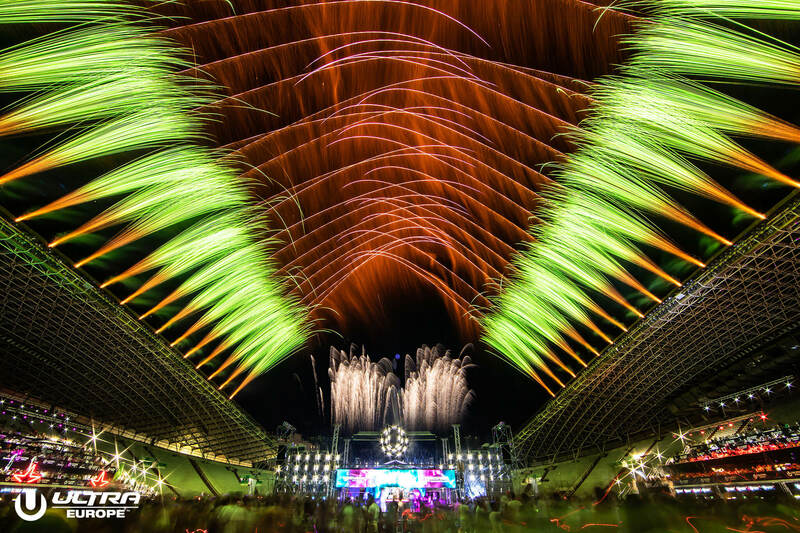 Headliners Eric Prydz, Hardwell and Armin van Buuren closed out the Main Stage of the festival each night to an electric reception as fireworks and pyrotechnics lit up the Dalmatian sky. Marshmello, David Guetta and Axwell Λ Ingrosso were among some of the most memorable performances of the weekend. RESISTANCE played a larger role than ever at the festival with 23 artists performing across the weekend. Jamie Jones B2B Joseph Capriati and Carl Cox closed Friday and Saturday night respectively, while The Martinez Brothers B2B Loco Dice closed out a special Sunday back-to-back bonanza. Marco Carola and Seth Troxler also had notable performances during the weekend, bringing their unique styles of house and techno to the Dalmatia Coast. This edition of the festival showcased the fully immersive and brand new RESISTANCE arena production. On Monday, Destination ULTRA continued its run to the Regatta on Zlatni Rat Beach, Bol on the island of Brać. Brand new venue 585 Club hosted performances from Sigala, Plastik Funk and Rewire & Varski with partygoers soaking up the warm sunshine at the beachfront venue. The next day saw revellers descend on the island of Hvar with international DJs Fedde Le Grand, Nicky Romero, Oliver Heldens, Jonas Blue and San Holo providing the soundtrack to the most anticipated edition of ULTRA Beach Hvar yet. The pool party did not disappoint, with over nine hours of continuous music whipping the crowd into frenzy at the idyllic setting of the famous Amfora Hvar Grand Beach Resort. As the day turned into night, the party moved to Carpe Diem Beach Club on the world famous Pakleni Islands for RESISTANCE Hvar, with Paco Osuna performing alongside his Mindshake label mate, Fer BR for a night of dancing under the stars. To bring the week to a close, rounding off yet another hugely successful year for Destination ULTRA, revellers made the boat trip to the picturesque island of Vis for the final party of the week, RESISTANCE Vis. RESISTANCE hero Nic Fanciulli closed the event in customary fashion capturing the hearts and minds of those in attendance in an emotional performance that encapsulated the euphoric atmosphere of the week. Tickets are on sale now for ULTRA Europe 2019, which will return on July 12-14, 2019. Passport Pack – Buy 5 Tickets to unlock a 6th. Prices as above.